EziBuy Limited is a leader in the apparel and homeware catalogue market, mailing over 23 million catalogues annually and processing more than 1.75 million orders a year to customers in Australia and New Zealand. Established in 1978 by the Gillespie brothers as a small mail order business in Palmerston North, EziBuy has since grown to be the largest multi-channel retailer in Australasia. EziBuy's women's fashion collection includes successful private labels Capture, Emerge and Grace Hill, along with the UK fashion label NEXT and exclusive European Collections. Modern Curve is a dedicated plus-size offering with brands such as Sara, Addition Elle, Capture Woman, Grace Hill Woman and Emerge Woman. In addition, EziBuy offers an extensive home and gift collection, as well as swimwear, lingerie, menswear, and kidswear. In June 2017, EziBuy was acquired by Alceon Group. Alceon is a specialist advisory, investment and capital solutions firm, which is wholly-owned by its executives. The Alceon team has extensive senior level experience in advisory and investment and, since inception in February 2010, has funded more than A$1.5bn of equity and debt investments, across a total asset base in excess of A$2.5bn. Further information on Alceon is available at www.alceon.com.au. Alceon's other retail investments include a major shareholding in the ASX-listed women's apparel retailer, Noni B Limited, and a controlling interest in the privately-owned discount variety retailer, Cheap as Chips, alongside management. EziBuy's priority is customer service. Convenience, quality and value are at the core of our business. Richard is an experienced company director and corporate finance professional with over 25 years of experience in investment banking, corporate advice and principal investment. Richard is an Executive Director of Alceon Group, based in Sydney, where he leads its Private Equity and Special Situations practice. Richard is also the Chairman of the ASX-listed women’s apparel retailer, Noni B Limited, and the privately-owned discount variety retailer, Cheap as Chips, both of which Alceon has significant interests in. 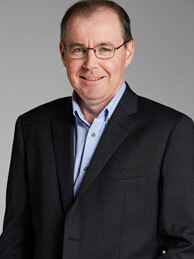 Prior to joining Alceon, Richard’s previous roles include Managing Director of The Silverfern Group, a global private investment firm, Managing Director and Co-Founder of Shearwater Capital, a credit-focussed investment firm and Executive Director with Macquarie Group, where he held a number of roles in corporate finance and principal investment over a 15 year career. Richard holds a Bachelor of Engineering degree (Honours I) from the University of Sydney, a Master of Business Administration from the Wharton School at the University of Pennsylvania, and is a member of the Australian Institute of Company Directors as well as a Fellow of the Financial Services Institute of Australia (FINSIA). David is an experienced corporate finance professional with over 15 years’ experience in investment banking, corporate advice and principal investment. David is an Executive Director of Alceon Group, based in Sydney, and works in the Private Equity and Special Situations practice. 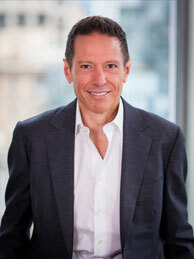 Prior to Alceon, he held roles within the corporate finance group of Babcock & Brown and the investment banking divisions of Goldman Sachs and Macquarie Group. David is also a non-executive director of Noni B Limited and a non-executive director of Cheap as Chips. 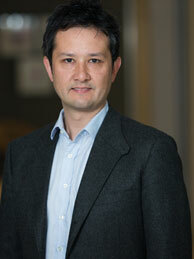 David holds a Bachelor of Commerce degree from Monash University. Graeme has over 20 years’ experience in senior finance roles within both the public and private sectors. Graeme has been with EziBuy for 11 years in a number finance related roles as the business has changed and evolved. Prior to joining EziBuy Graeme worked for Naylor Lawrence Chartered Accountants, Porirua City Council and Audit New Zealand. Graeme holds a Bachelor of Business Studies from Massey University and is a member of Chartered Accountants Australia and New Zealand.